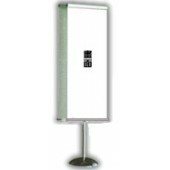 Standing banner stands are going to be an ideal choice for any company that hosts booths at employment fairs and general conventions. 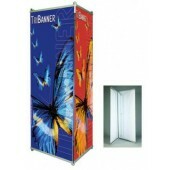 These stands are designed to attract attention to your company, while giving you a place where you can proudly display banners and signs that feature your logo and brand name. Companies who offer these products will be said to have the "it" factor that will draw in new business and interest. At the same time, they will remain more conservative and appeal to businesses that are looking for a frills free approach to doing business. This means that they do have a dual purpose. 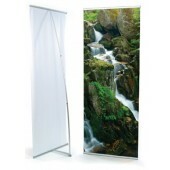 The fact that you can often roll up retractable versions of the standing banner stands, will also mean that they can be quick to clean up and to store when you aren't going to be using them. 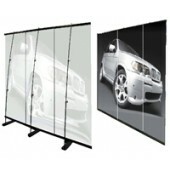 What you will regularly find when you are dealing with these items, is that they are going to add the finishing touch on an area and expand the viewable area at an event. From a distance, people will most likely see you and come to visit you when they are scanning the room, because you do stand out. 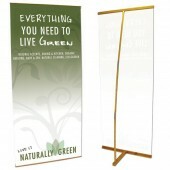 These standing banner stands will have you become a focal point in a room and that will list you as a company that people are going to want to get to learn more about and to know. 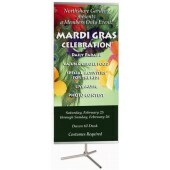 We can set up these standing banner stands to meet the height requirements that you have, while producing a quality print that is going to stand out among all the other businesses in an area. More importantly, you will have a chance to choose from traditional interior banners that are designed to be displayed inside of a business, while having a vinyl alternative that can go outside and still stand out and draw attention to your business. 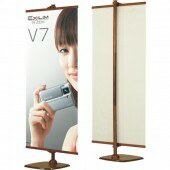 Ideally, you will want to plan a few different banners that will showcase your company, no matter where you place them. The most successful layout will be one where people see more than a company name and a logo. Instead, consider showcasing the logo, name and additionally the services your company offers and give people a true feeling for your business and all they can do, while working closely with your business. That way, you draw additional interest into your business by those who are passing by. While some people will write off banners as being just something to have, others will understand how important that they can be to your continued success. It will be important that you take the time to look over all the different options that you have and come up with a setup and design that is going to best suit your needs. 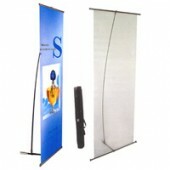 From a simple backdrop to an event, to the sole advertising tool you have outside, the needs of the banner will be unique no matter where it is and you will want to ensure that you are maximizing the impact it has.